Hey all, happy Friday! 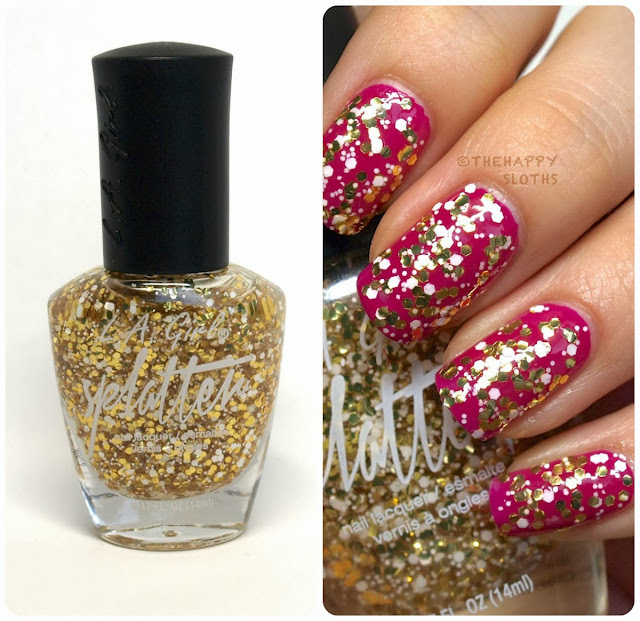 I have a couple of super fun glitter polishes from L.A. Girl to show you today. 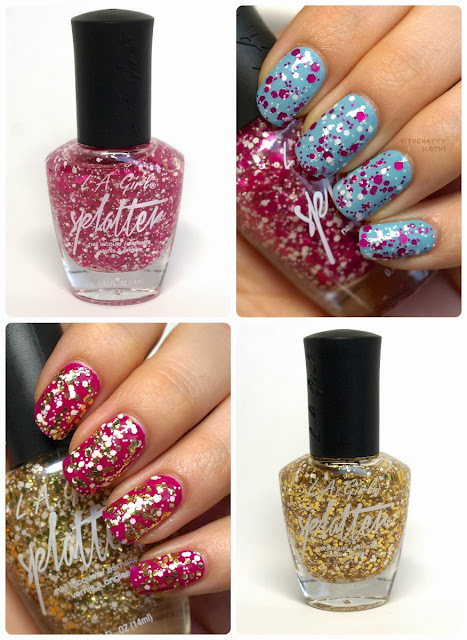 From the "Splatter Effect" collection, "Sprinkle" and "Sparkle" are two glitter polishes with various sizes of hexagon glitter suspended in clear polish. 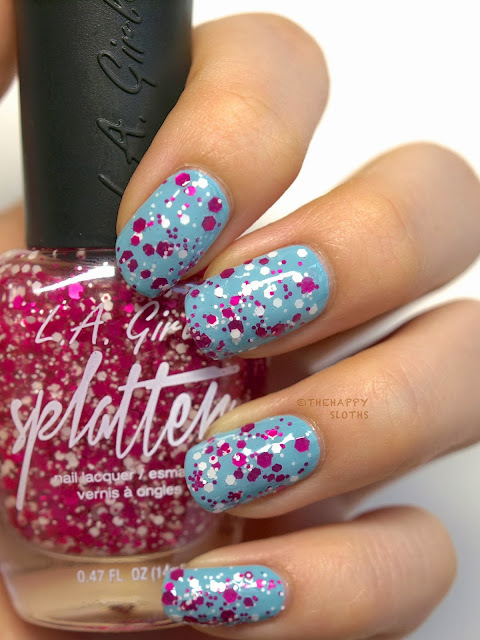 Topped over solid colors the polishes mimic a "splattered" paint effect. Sparkle is a white and gold glitter, I topped this one over a magenta cream polish from Julep called "Helena". "Sparkle" is a tad thin so it's difficult to get a lot of glitter in one stroke and so to avoid applying too many coats, I painted the glitter on a wedge sponge and sponged on the polish to get more concentrated application of the glitter. I love the effect it gives, from afar it really looks like splattered paint! The drying time is good and I like that the large hexagons are just the right size, not too big that they don't stay flat on the nails and not to small that the hexagon shape becomes indistinguishable. 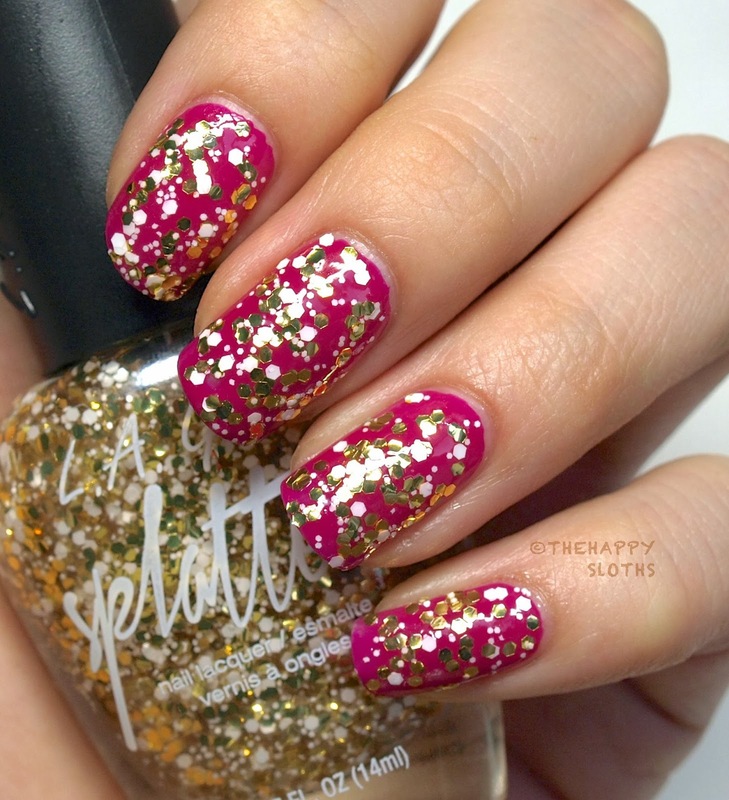 Next up is sprinkle, this one is a super adorable pink and white glitter! I thought pairing this with another pink polish would be boring so I put it over a nice baby blue called "The Valley" from American Apparel. I love the result! 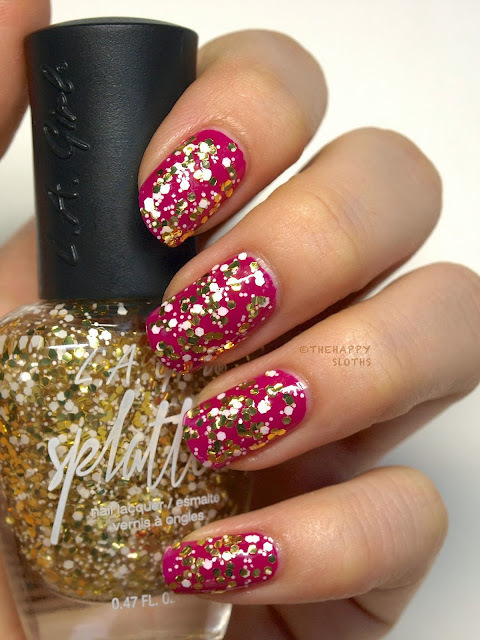 Formula once, "Sprinkle" is the same as "Sparkle" so I also applied it with a sponge. These polishes work perfectly fine when applied with the brush it comes with but I just personally prefer a glitter explosion versus a few glitter here and there. Each polish is sold for $5 online on L.A. Girl's website (free shipping for orders $25 or more) and in American drugstores such as Right Aid. For Canadians, they are available online ($2.99 each) here. Which one do you like? "Sprinkle" or "Sparkle? Let me know in the comments below!